Reprint. Translated from the Norwegian This translation originally published: 2018. 'A masterpiece and a masterclass in investigative journalism' Christina Lamb, Sunday TimesOn 17 October 2013, teenage sisters Ayan and Leila Juma left their family home near Oslo, seemingly as usual. Later that day they sent an email to their unsuspecting parents, confessing they were on their way to Syria. They had been planning the trip for months in secret. Asne Seierstad - working closely with the family - followed the story through its many dramatic twists and turns. 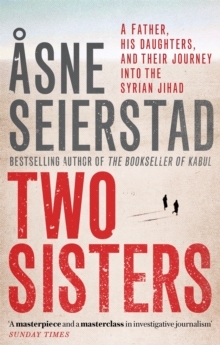 Two Sisters isn't only the story of how a pair of teenage girls became radicalised but an unsparing portrait of our own society - of its failings and its joys' Luke Harding'A masterwork.